You don't have to travel to the far east to enjoy some of the best Japanese furniture in the country. Brosa's unique approach to furniture manufacture and retail has transformed the industry and brought beautiful products within reach of virtually everyone. We have cut out the middlemen and sourced our materials and craftspeople direct, reducing overheads and enabling us to sell to you without the insane margins of traditional retailers. Jump right in and paint an image of serenity in your home with Brosa's range of oriental tables and chairs from our Japanese furniture today! Our range of furniture includes Japanese influenced pieces that capture the essence of the country's style and sophistication. Made to exacting standards, it is on point for comfort, as well as decor matching chic. Regardless of the size of your home or your budget, you'll find what you are looking for at Brosa. Our Japanese tables and chairs take inspiration from both traditional and modern design principles, combining them into a seamless furniture experience that will be sure to make an impression on both your family and your guests. They will never guess it didn't come direct from Japan. Brosa provides delivery across Australia, to all of the major centres including Melbourne, Brisbane, Adelaide, Sydney, Gold Coast and Perth, at competitive rates. We can also deliver beyond the cities and enable people in regional areas the chance to have great furniture delivered to their doorsteps quickly and easily. For more information on our shipping and handling charges, take a look at our delivery conditions page. We also have an FAQ available and our team are standing by to help you make your choices. We stock a wide range of top-quality Japanese table, chairs and other furniture piece to ensure you will find the perfect product for your home. 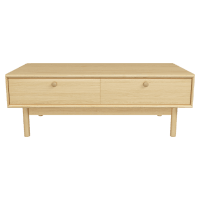 If Japanese furniture isn't quite what you're looking for, we have a range of modern contemporary, retro mid-century vibe and Scandinavian looks. We pride ourselves on helping people find affordable Japanese furniture and delivering it direct to their doorstep, all over Australia. Call our team on 1300 027 672 and we will be happy to answer your questions and help you make an informed purchasing decision. You can also leave your information in our contact form and we will get back to you shortly.